My 12 year old “Charlotte” at times refers herself as my 白老鼠 “white mouse” or guinea pig in my quest to raise them to be bilingual and biliterate in Chinese and English in the US. I don’t blame her for saying so. There was simply no readily available guide to this journey with sufficient detail and tract record when she was born. So, to achieve the extraordinary, I had to resort to the extraordinary. 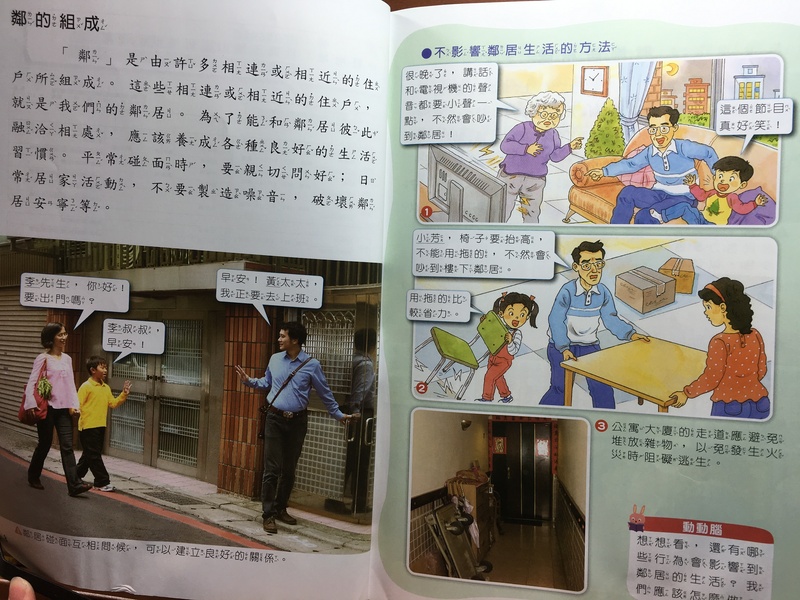 Not that learning Chinese well is difficult by itself, but that learning Chinese well as a child in the sea of English language ecosystem is an immense challenge, not just for the sanity of the parents but that of the child also. Whether one likes it or not, such quest can throw into the open the question of “Who am I and what do I value” and constantly challenges the entire family every step of the way regardless of one’s resource, for there is one thing that limits us all – time. In my quest, I at times stumbled upon ideas or goals that are deemed out of reach (such as reading 金庸 in middle school) or contrary to popular sentiments (such as the importance of phonetics). At other times, I “discovered” teaching techniques that are likely of common knowledge in the disciple of pedagogy and second language learning. Today, it came upon me that parents can indeed aim for seemingly out-of-reach goal in Chinese reading through the Scaffolding Reading Experience (SRE), an instructional technique used for English language learner or learners of any subject. As you know, our children are often limited to basic reading proficiency as more “advanced” Chinese reading calls upon knowledge of many more characters, words, phrases, sentence structure, idioms, and background knowledge, whether cultural or technical. 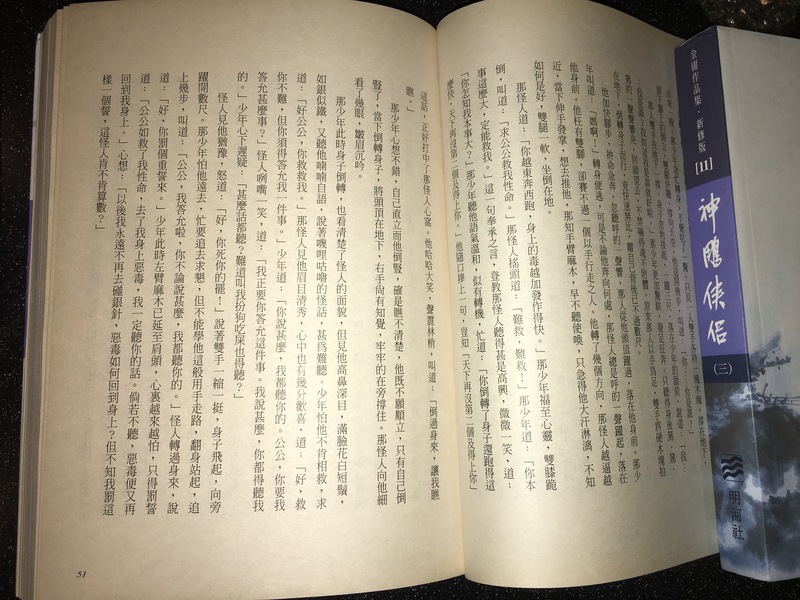 The Scaffolding Reading Experience (SRE)*, tailored for the Chinese language, just might make this quest a little easier. The scaffold. This is a temporary and supportive structure that helps the learner accomplish a task beyond his or her ability without the scaffold. Zone of Proximal Development. A learner has a surrounding zone of development, a range within which they can learn. At one end of this range are learning tasks that the learner can operate independently. At the other end are learning tasks that the learner can not complete even with assistance. Between these two ends is the zone that the learner can complete with some assistance. Dismantling the scaffold. Over time, the instructor gradually remove the scaffold and allows the learner to complete the task independently. Planning phase. This phase takes into account the learner, the reading selection, and the reading purpose. The planning leads to the creation of the SRE and its implementation. Implementation phase. This phase has three activities. Pre-reading. This consists of motivating the learner, building background knowledge, making the reading relevant and meaningful to the learner, preteaching the vocabulary, etc. Reading. This consists of reading to the learner, guided reading, silent reading, read-aloud, etc. Post-reading. This consists of discussion, writing, artistic/acting activities, application, etc. Scaffold: Chinese text with zhuyin or pinyin. Zone of proximal development. Separate language learning from subject learning. Allow the child to learn the subject either first in English, the more proficient language almost for all past third grade, or learn the subject in Chinese through multimedia and be familiar with the concept and terminology first. For effective Chinese as second language learners, it may even be better to first learn the subject in English and then learn the Chinese terminology first through Chinese multimedia exposure. Dismantling the scaffold. Chinese text of the same subject and level without zhuyin or pinyin. Planning phase. Take into account the child, his/her interest, and the purpose of the readings. Sometimes, the reading is for academic purpose, such as social studies or science text. (Personally, I think social studies reading is more important than science reading.) At times, it is for general reading, such as 金庸‘s kungfu novels, which contain plenty of cultural knowledge of course. Pre-reading. Learn the subjects first in English at school and then come back to do Chinese reading on the same subject weeks to months later. Or watch kungfu TV series or cartoon in Chinese and then come back to do the Chinese reading on the same story. Reading. Read first the text with zhuyin or pinyin. Print out text with phonetics yourself if needed (search for text, copy, paste, add phonetics – super easy). A combination of reading to the child, listening to audio-recording, guided reading, read-aloud, and silent reading are great ways to speed up learning. Then, read, read, and read. 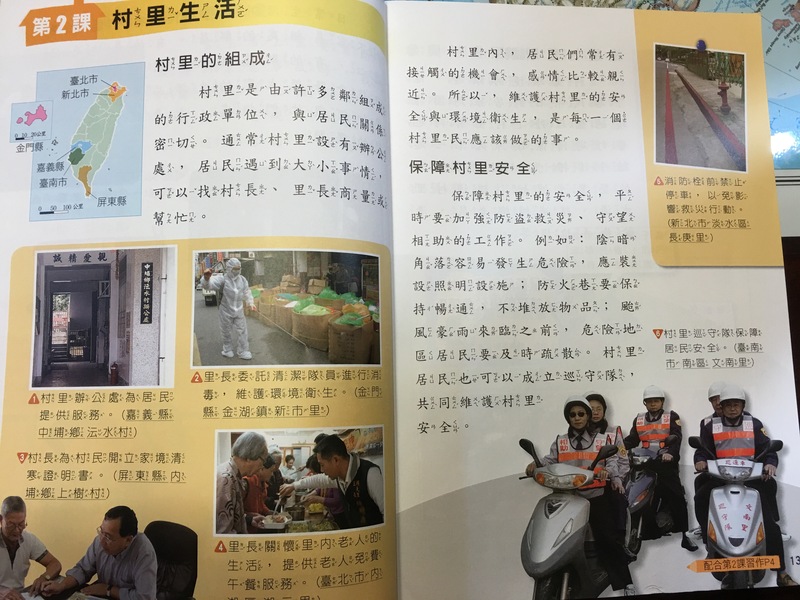 Once the child can read the text quickly (different speed for different topics – faster for casual reading like novels, say > 500 characters a minute), it would be time to try similar text without zhuyin. Post-reading. Discuss the subject, do brief writing/character practices, or do some artistic activities. #1. My daughters learned in English about communities in the third grade and basic North Carolina history/geography in the fourth grade. 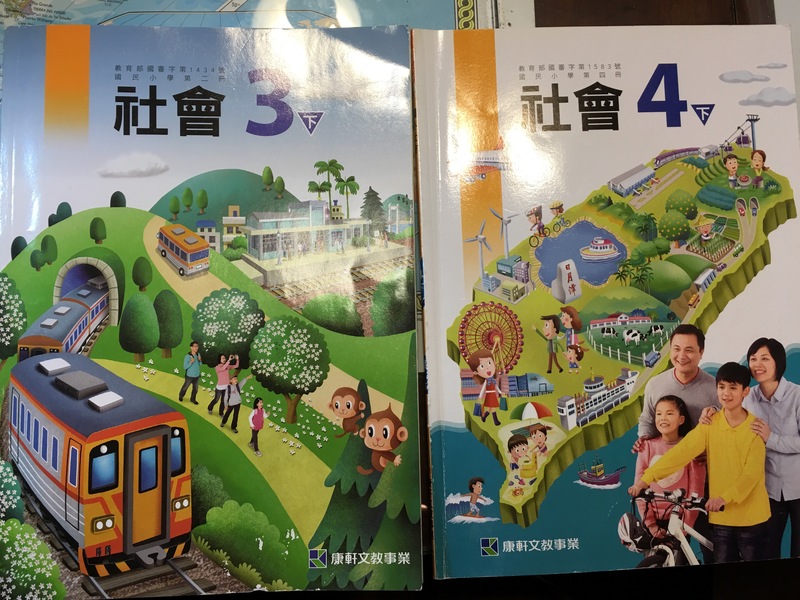 A couple of years later, I ask them to read the corresponding Chinese textbook from Taiwan. It was still challenging for 9 year old “Georgia” due to the amount of new Chinese terminology but at least she knows some basic concept already. Here is Georgia reading one such text, as posted a few weeks ago: https://youtu.be/-kuEJ0Crtgw. She has yet to progress to reading such text without zhuyin. That can wait. #2. 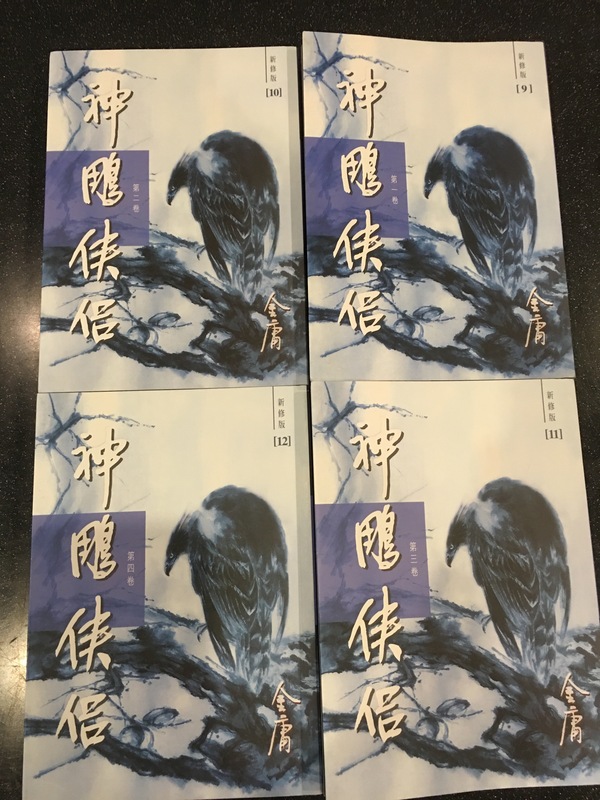 Charlotte started reading Return of the Condor Heroes earlier this month. Charlotte had watched the cartoon version several times a couple of years ago. She read the dialogues in the novel just fine but has had difficult with some passages and visualizing the fight sequence. 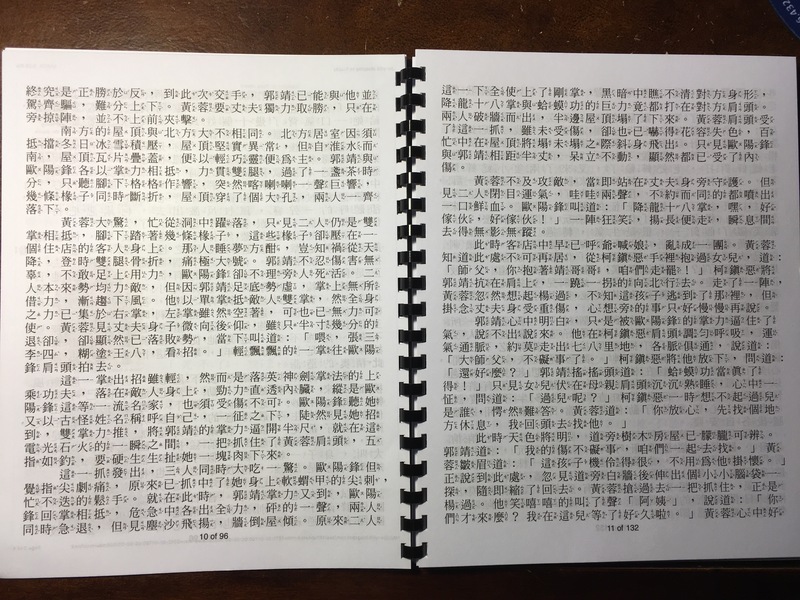 So, I printed out the text with zhuyin and asked Charlotte to read it aloud with the tutor, who then explained whatever she didn’t understand. After doing so for about an hour and half over two days, Charlotte had much better mental picture of the story. Now, instead of going back to the novel book without zhuyin, I have her read the text with zhuyin and she finds it much easier to read. I will just have her read such text until she reads it very quickly and then go back to the novel without zhuyin. I will ask her to do some read-aloud with me from time to time. So, the above is SRE for Chinese in a nutshell. I am certain many of you have utilized similar technique to various degree. I am simply laying it out in a somewhat organized fashion. I hope this post is helpful. Thank you for reading. * Michael F. Graves and Jill Fitzgerald, Scaffolding Reading Experiences for Multilingual Classrooms.